In a prelude to CityScape Egypt conference, the panel focused on the effect of New Capital City and Suez Canal Economic Zone on real estate sector. Senior real estate stakeholders, experts and government officials put the spotlight on the impact of mega-projects on Egypt’s real estate sector at yesterday’s Cityscape Egypt Business Breakfast. 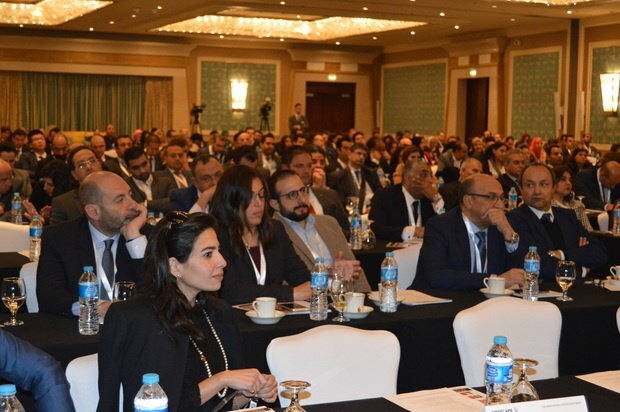 The Business Breakfast, a prelude to Cityscape Egypt, took place at the Nile Ritz-Carlton, Cairo, and called attention to the ongoing development and progress of Egypt’s real estate sector focusing on mega-projects proposed for the year. Khaled Abbas, Egypt's Assistant Minister of Housing for Technical Affairs, highlighted in his keynote session that Cityscape Egypt Conference is considered as the industry benchmark for assessing the substantial growth in the real estate market. "Cityscape Egypt 2017 is a positive indicator that Egypt has a promising and attractive real estate market," Abbas said. “Implementing the Egyptian strategic plan for doubling the inhabited area by 14% till 2052 requires Government and private sector cooperation, in which the government will rely mainly on the private sector investors.” he stated. Abbas also added that the Ministry of Housing plans to offer lands on investors in new cities as in Al-Alamein City. 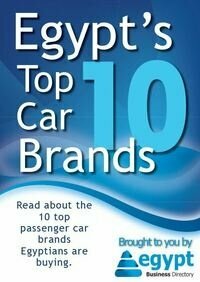 Last year saw Egypt adopt economic reforms at all levels, including receiving an International Monetary Fund (IMF) USD 12 billion credit facility, and a currency devaluation, which experts say could prove an advantage for foreign investors in 2017, with the potential to pave the way for economic growth in the country. Reforms have so far demonstrated a benefit for the economy. Earlier this year, Egypt’s stock market closed at a record high as foreign funds flooded the market, a factor attributed to floating the country’s currency, helping maintain a positive outlook for the year. In light of the reforms and economic climate, this year’s Business Breakfast panellists provided insight on the status of mega-projects, focusing on New Capital City and the development of the Suez Canal Economic Zone and its overall impact on the country’s real estate sector. Panellists included: Dr. Ahmed Darwish, Chairman, General Authority for Suez Canal Economic Zone; Ayman Ismail, Partner – Chairman and CEO, DMG, Mountain View and Non-Executive Chairman, New Administrative City – S.A.E; and Dr. Sherif Samy, Chairman, Egyptian Financial Supervisory Authority. New Capital City is a 700-square kilometre city to be constructed in the desert to the East of Cairo and is slated to become the new seat of government. Proposals for the city include housing for five million people, over 1,000 mosques, smart villages, industrial zones, a 5,000-seat conference centre, and the world's largest park. While the Suez Canal is the fastest shipping route between Europe and Asia and one of Egypt’s main sources of foreign currency. Panellists examined and discussed the projects’ progress while raising several noteworthy questions such as: Has the currency fluctuation affected the progress of projects? What effect will construction in mega projects have on the rest of the sector in terms of human resources and materials? How are smart and sustainable building concepts being applied? What lessons can the sector take from mega-project construction? “There are 5 key sectors that are considered partners in the development of the Suez Canal Economic Zone which are manufacturing, commercial, logistical, ports, and real estate to implement a fully integrated project that will achieve the anticipated economic growth during the coming period” said, Dr Ahmed Darwish, Chairman of the General Authority for the Suez Canal Economic Zone. Darwish added that the authority is currently seeking cooperation with real estate developers to develop integrated urban communities in East Port Said, Qantara, and Ain Sokhna through land partnership noting that a number of the real estate developers are hesitant on signing land usufructs agreements of 50 years term. “Cityscape conference taking place on 29-30 March 2017 has become a milestone in the development of the real estate market in Egypt over the past few years, especially owing to its focus on addressing the challenges facing the industry,” said Eng. Fathallah Fawzy, Co-Founder of MENA Group and this year’s Cityscape Egypt Conference Chairman. “The Business Breakfast successfully kicked off the real estate conversation for 2017, providing unique insight into the sector and what to expect for the coming year,” said Tom Rhodes, Cityscape Egypt Event Director. “When it comes to real estate in Egypt, we’re confident that it still holds great value and is considered a hedge against any economic instabilities. Following the Business Breakfast, Cityscape Egypt will take place from March 31st until April 3rd at the Cairo International Convention Centre, preceded by the Cityscape Conference from 29-30 March at the Royal Maxim Palace Kempinski Hotel. For visitors, homebuyers and investors attending, the exhibition will represent a unique opportunity to see all of Egypt’s new and existing developments under one roof as well as to explore a wide range of fascinating international real estate projects.